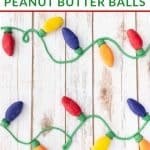 If you love peanut butter balls, then these Christmas Light Peanut Butter Balls are the perfect holiday treat for you. 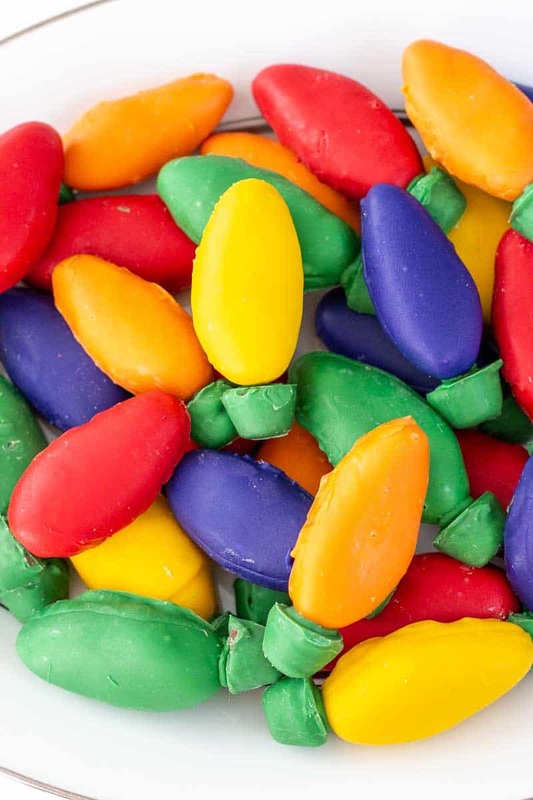 These are very similar to buckeyes, except you’ll be forming the peanut butter dough into the shape of those old vintage Christmas lights and then dipping them into melted candy melts. 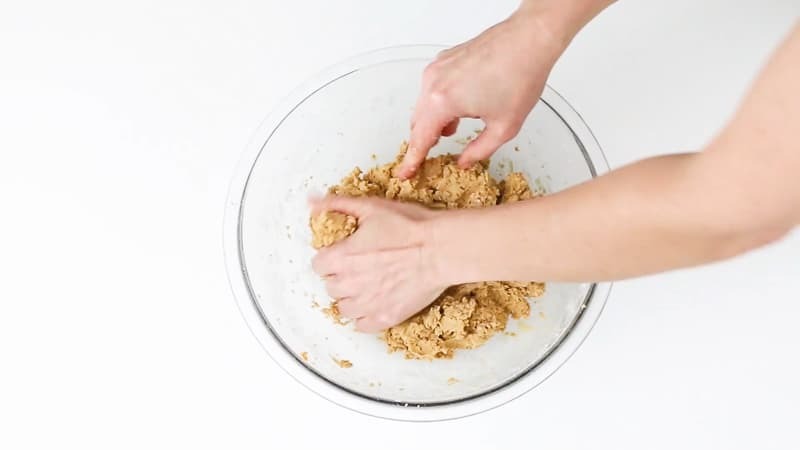 The peanut butter ball mixture itself is no-bake, so that makes it really quick and easy to mix up. 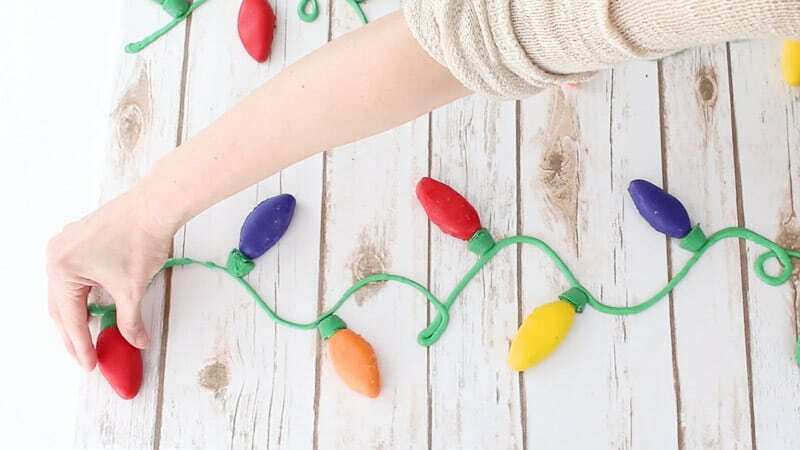 You’ll also be using the little mini sized Reese’s cups for the bottom part of the Christmas lights (you know, that little part that attaches to the wire for the lights). Now, in full transparency, I’m going to give you a heads up. These take a lot of time, so don’t start this process the day before you need them. Give yourself some breathing room. 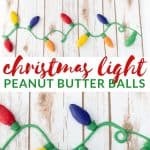 Because these take awhile to make and are quite involved, I would suggest not making lights out of the entire amount of peanut butter ball mixture. 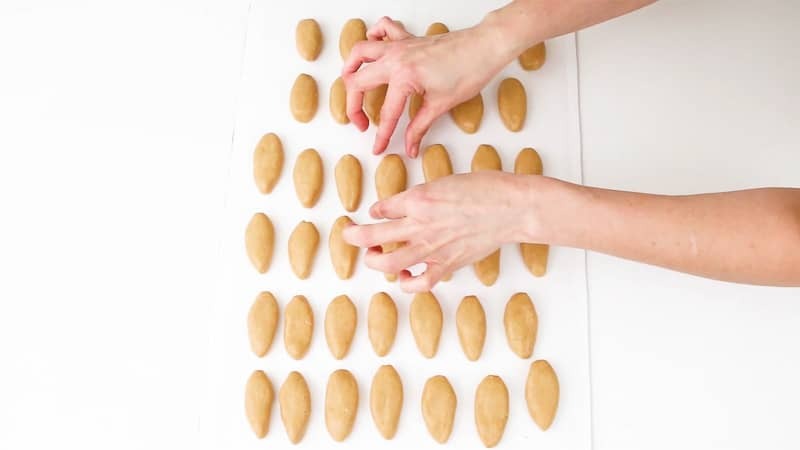 Make enough to put on a pretty cake board to get the cute presentation, but then roll the rest of the mixture into just regular peanut butter balls and dip them in the melted candy melts. 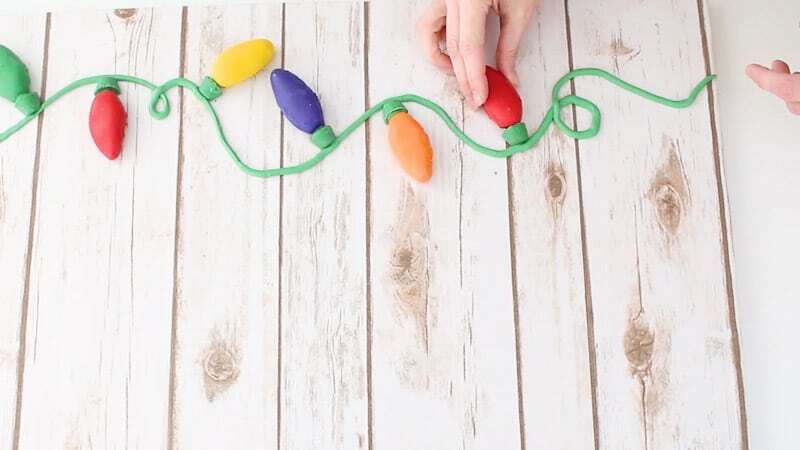 This way, you’re not having to shape every single one in the shape of a Christmas light and then dipping them and attaching a Reese’s cup to each. It’ll cut down on the time you spend considerably. Of course, you can just do like I did and use all the mixture to make Christmas lights and just pop the extra into a bowl. Either way is fine. Here’s my second note: These are not going to be perfect. 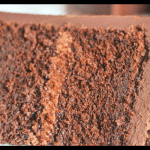 If you’ve ever worked with candy melts, you know it’s hard to get them to firm up super smooth. My advice is just to go with it. 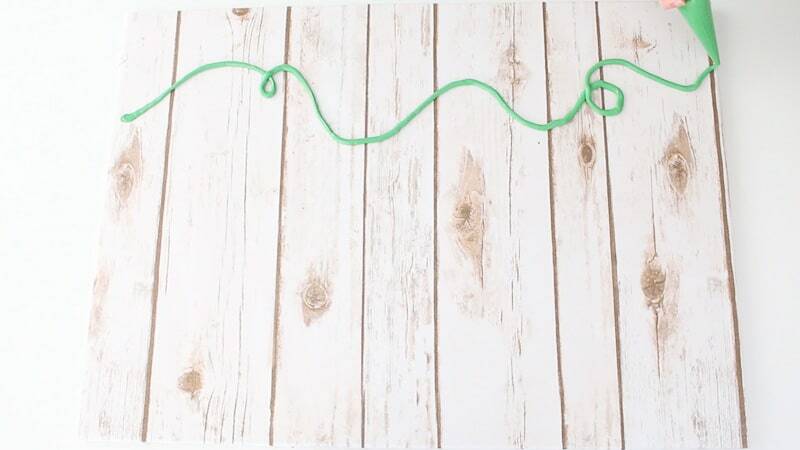 When you get them set up on the decorated cake board with the piped wires etc, it really looks super cute. And these things taste amazing. I seriously hurt myself on these. Notes: This recipe makes A LOT! 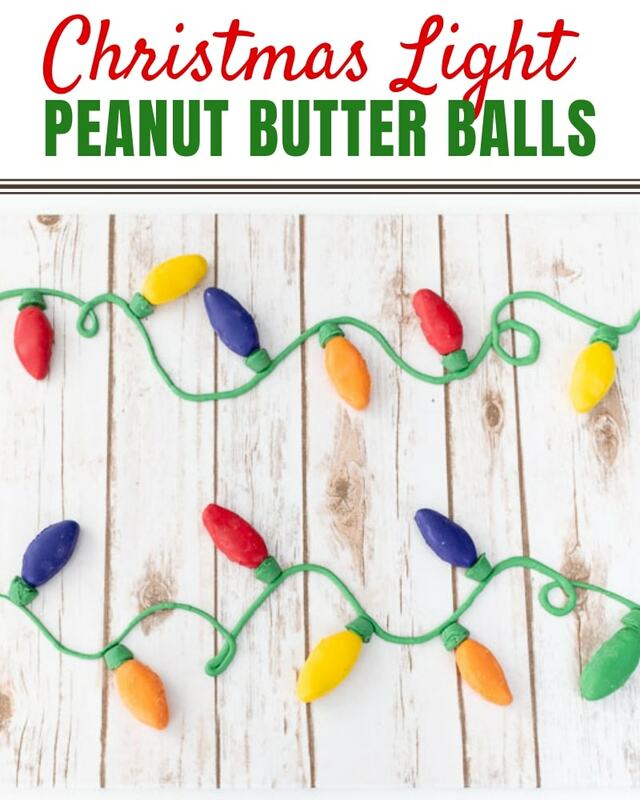 It makes about 52 peanut butter ball Christmas lights, so if you make them into just peanut butter balls, it’ll make even more. FEEL FREE TO USE HALF THIS RECIPE IF YOU DON’T NEED THAT MANY. 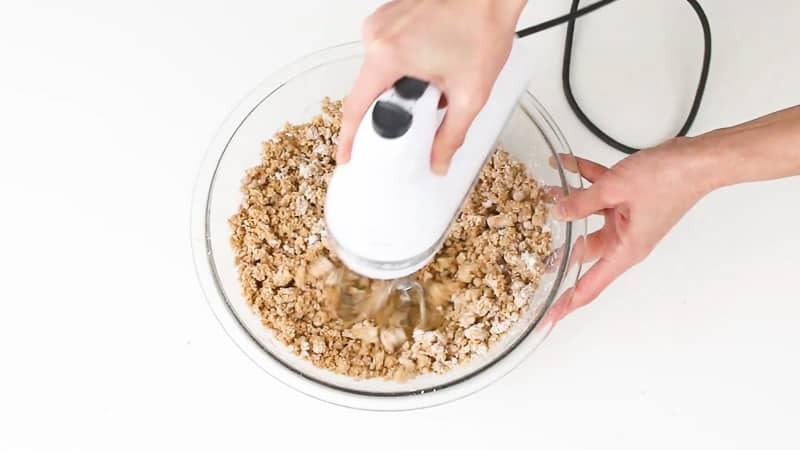 First you’ll want to add all your ingredients for the peanut butter balls and mix well. You’ll have to get in there and mix with your clean hands at some point. Once it’s well mixed, you’ll need to cover and chill it in the fridge for about an hour or so. It just needs to firm up. 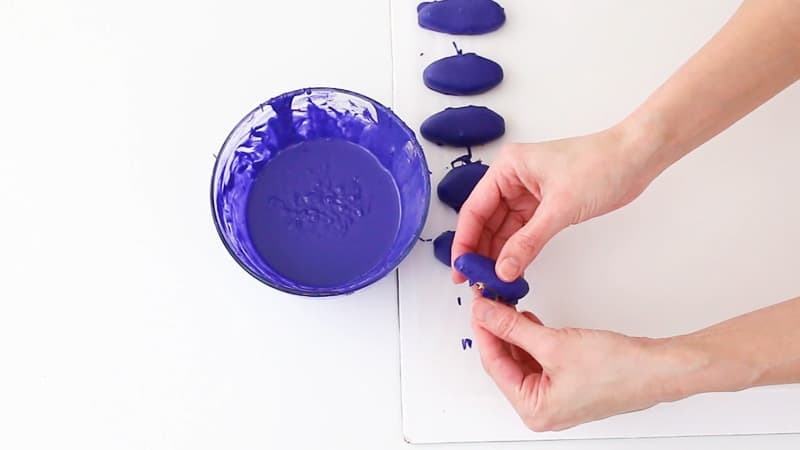 Set the shapes on some wax paper that’s on a large cake board or a cookie sheet…something you can move around. Now you’ll want to melt your candy melts. I just did one color at a time and just melted in the microwave at 20 second intervals until it was all melted. Now take a plastic fork and break off one or two of the spokes. Are they spokes or prongs? I don’t know, but I’m sure you get the point. 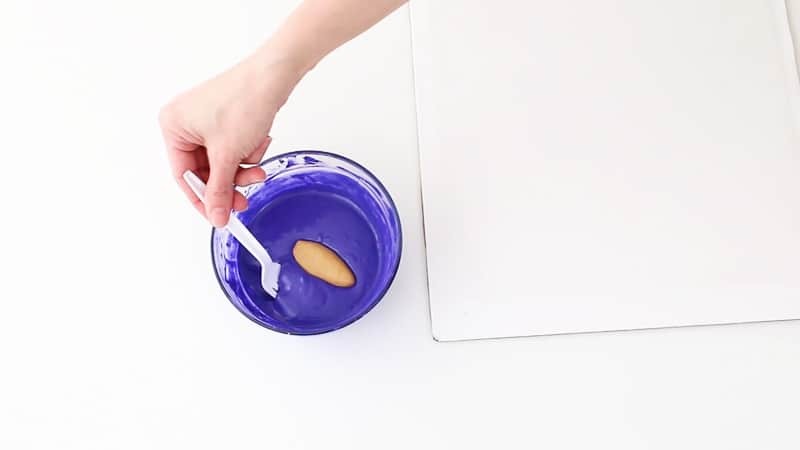 This seems to help me with dipping, since it allows the candy melts to drip off better and flow through the fork. 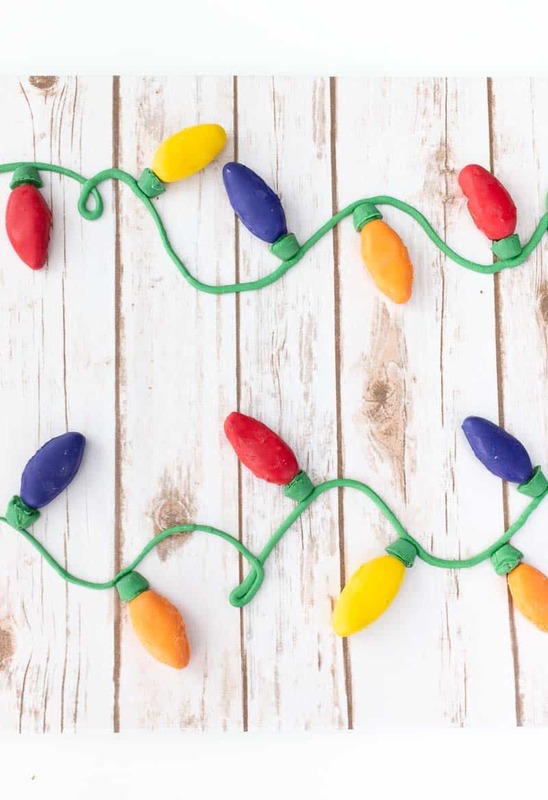 Now just grab a peanut butter Christmas light, set it into your bowl of melted candy melts and use your plastic fork to make sure it gets covered well. 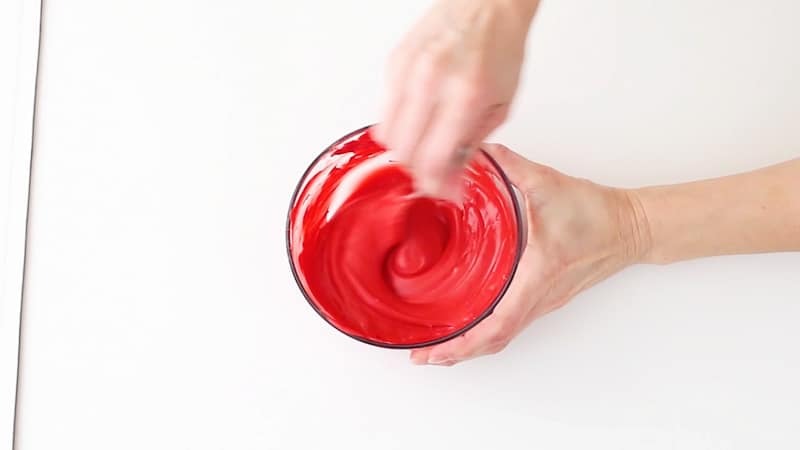 Lift it out, using your fork, and tap on the edge of the bowl to let the excess candy drip off for a bit. Now, since these aren’t round and they’re a little more flat, they don’t come off of the fork, super easily. 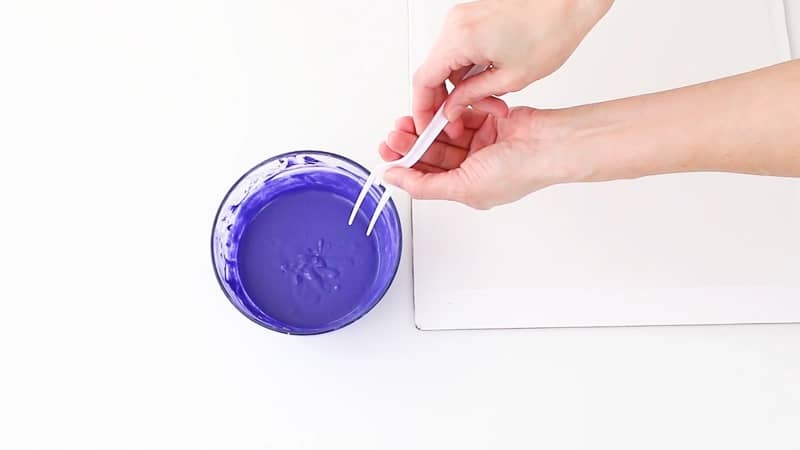 You’ll need to use a toothpick to push them off and set them onto the wax paper. It seems to work better if you sort of twist your toothpick as you’re pushing it off the fork. You may have to do this a couple times to get the hang of it. Don’t worry about it looking ragged at this point, we’ll clean them up a bit later on. 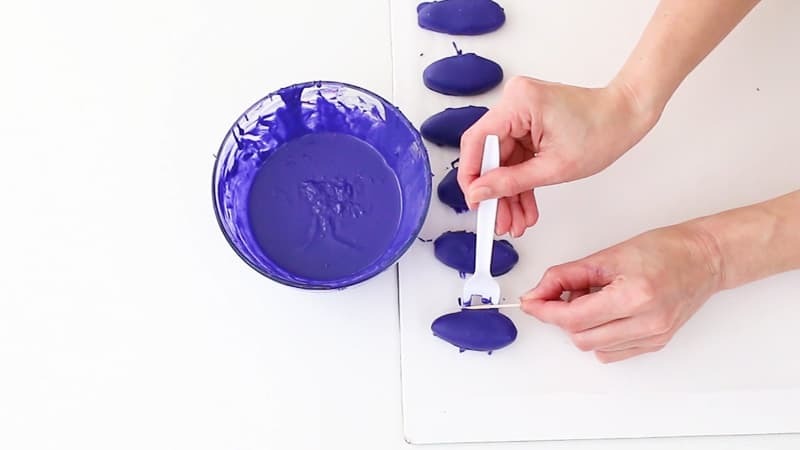 TIP: I kept all my peanut butter light shapes in the freezer while I dipped. They need to be good and firm. So, when I dipped one and set it on wax paper, I’d go get another out of the freezer and dip that one. If you leave them out while dipping them all, they seem to soften up too much and they’re harder to get off of your fork after you dip them. 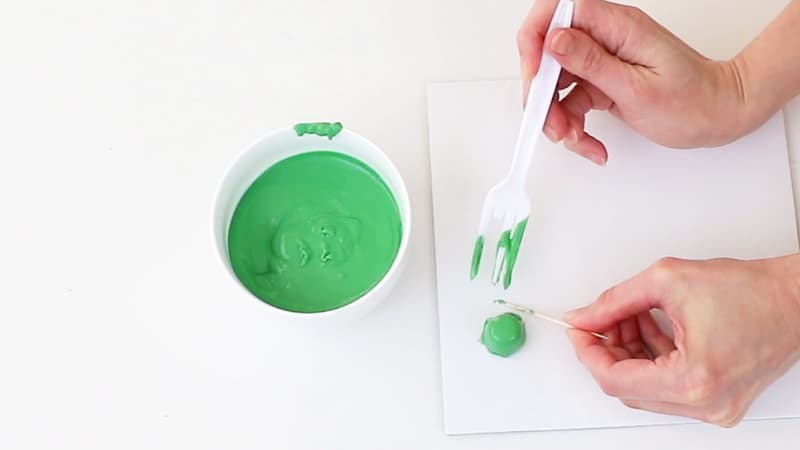 Once you’ve got the first coat of candy melts on them, you’ll want to chill them just enough for them to get firm. You can just chill them in the fridge this time. 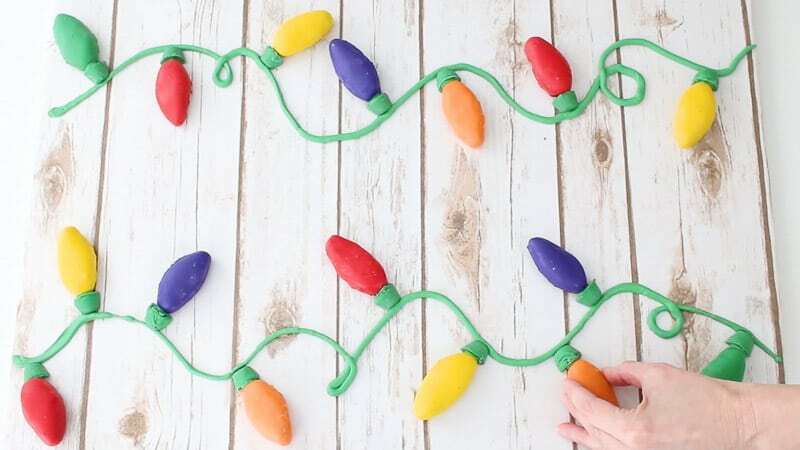 Once they’re chilled, clean off the bottom of the lights, by that I mean just break off any weird or jagged bits of candy melts around the bottom. 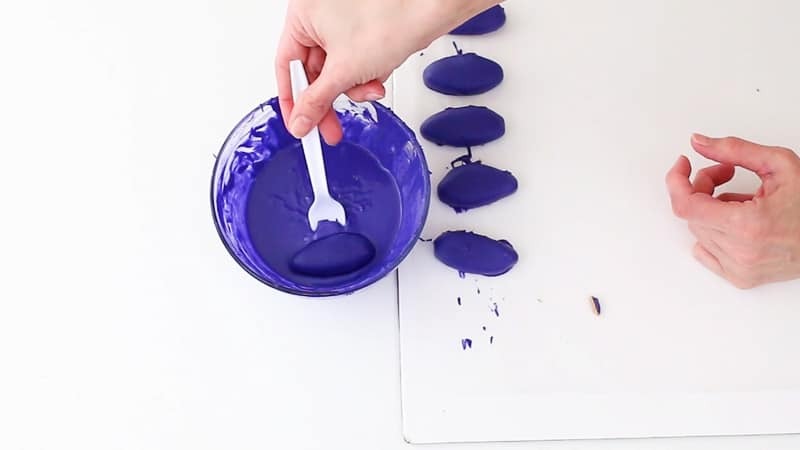 Now take your peanut butter ball light and dip just the bottom in the same color candy melts. 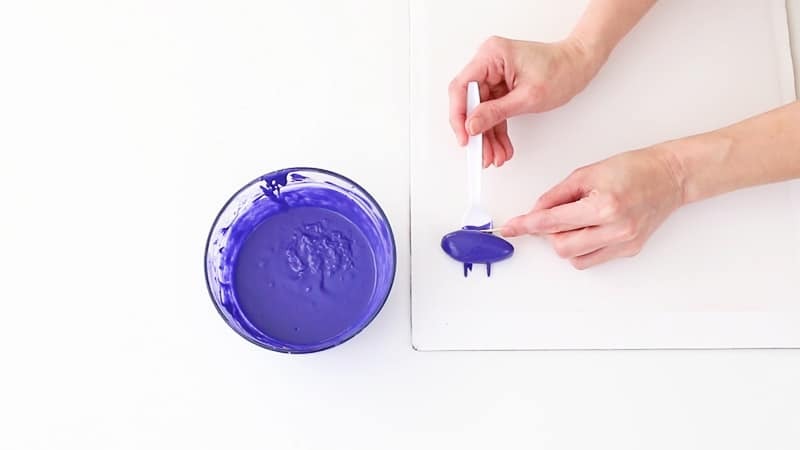 This will just make the bottom look a little smoother. Push them off with a toothpick and onto your board. Once they’re all dipped, you can just pop them in the fridge to stay chilled. You don’t have to put them back in the freezer this time. 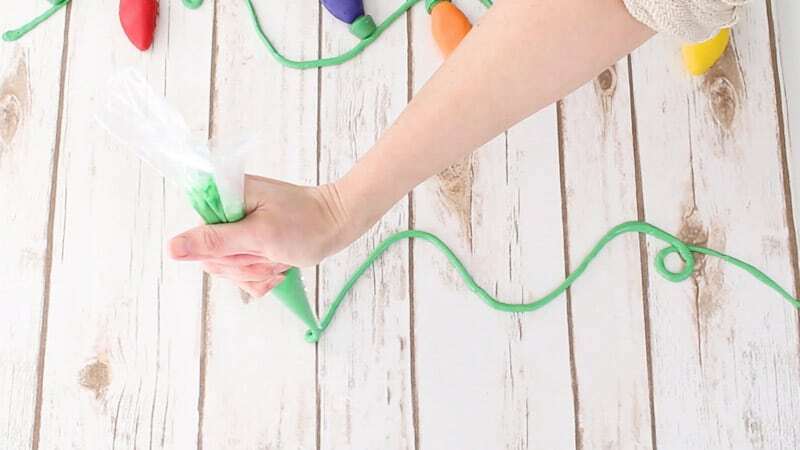 Now you want to work on the ‘connector’ part of your Christmas lights. You’ll use those mini Reese’s cups for that. Just grab some from the bag...it’s good if they’ve been chilled in the fridge first. 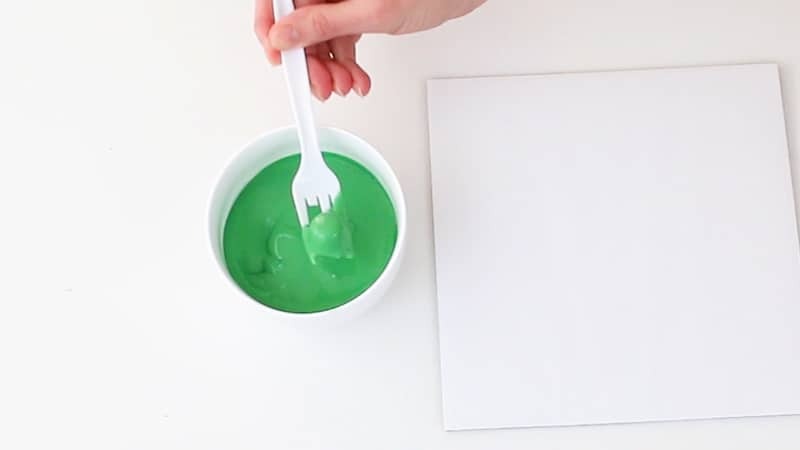 After they’ve been chilled, just dip them into the green candy melts, set on wax paper and then back in the fridge to chill. Now pop these in the fridge and let them get good and chilled. Be more careful than I was. Look how close my fingers are to that blade? 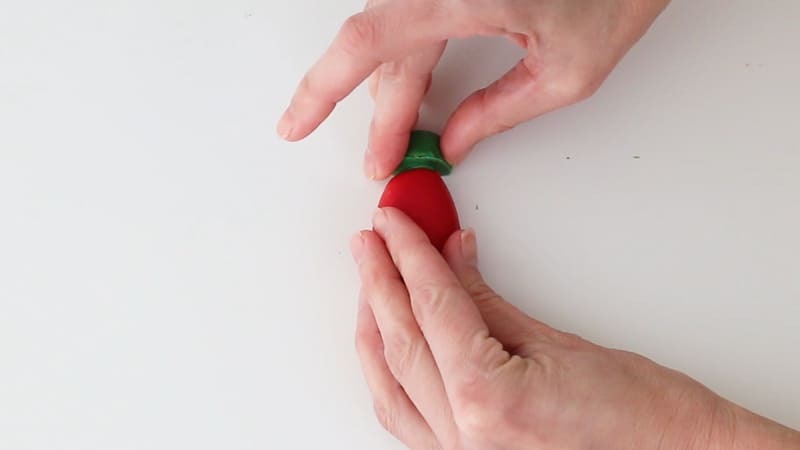 Good Lord, I didn’t even notice it until I watched the video and it’s a wonder I didn’t chop my fingers. 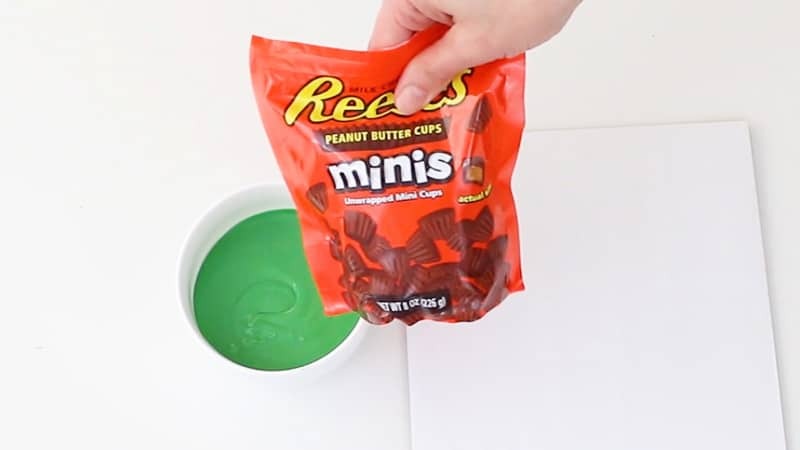 Now you’ll just want to add a bit of melted green candy melts to larger end of the Reese’s mini cup. 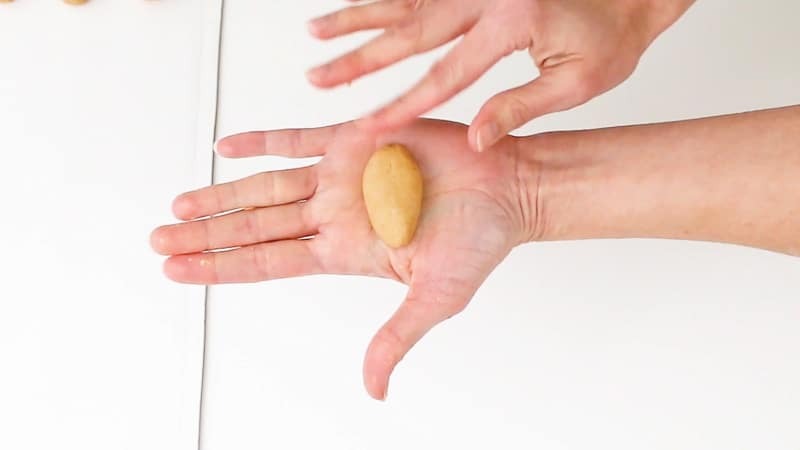 Now just attach it to the larger end of your peanut butter ball Christmas light. Make sure the inside of the mini Reese’s is facing down. Just hold it there for a second while it firms up. 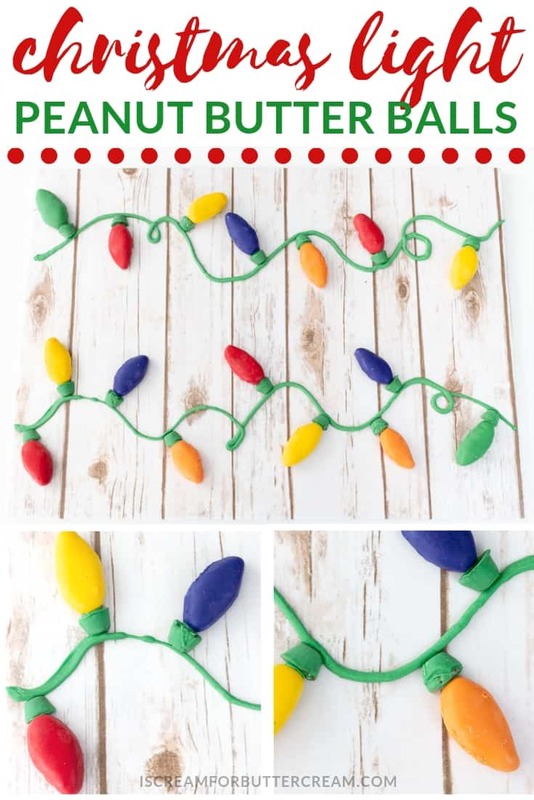 Do this to all the Christmas lights you made and set in the fridge to chill and firm up. 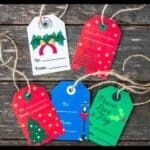 Now take your large rectangle board and cover it with some Christmas paper or maybe some wood-look scrapbook or wrapping paper. 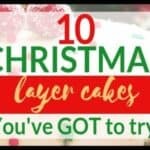 You’ll want to cover that with some clear contact paper as well to form a food safe barrier. 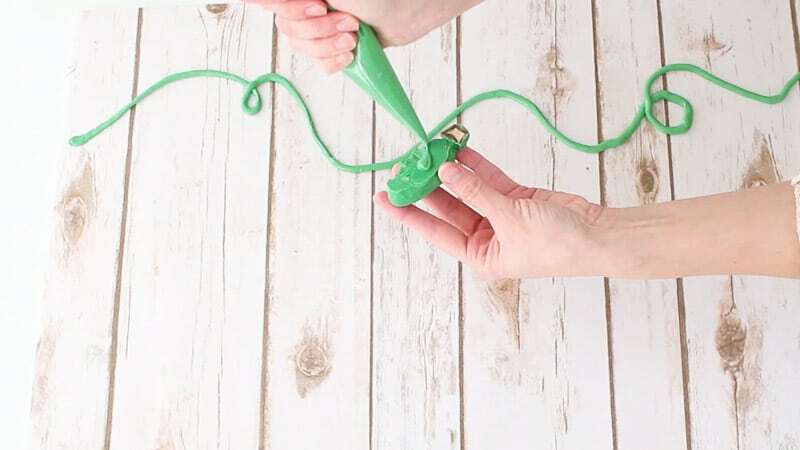 Add some melted green candy melts to a piping bag and snip off the end. Pipe a row of ‘wires’ close to the top of your decorated board. Do some little twists here and there when you pipe them. 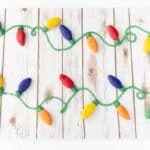 Add a bit of melted candy melts to to the bottom of each Christmas light and then attach to the board. 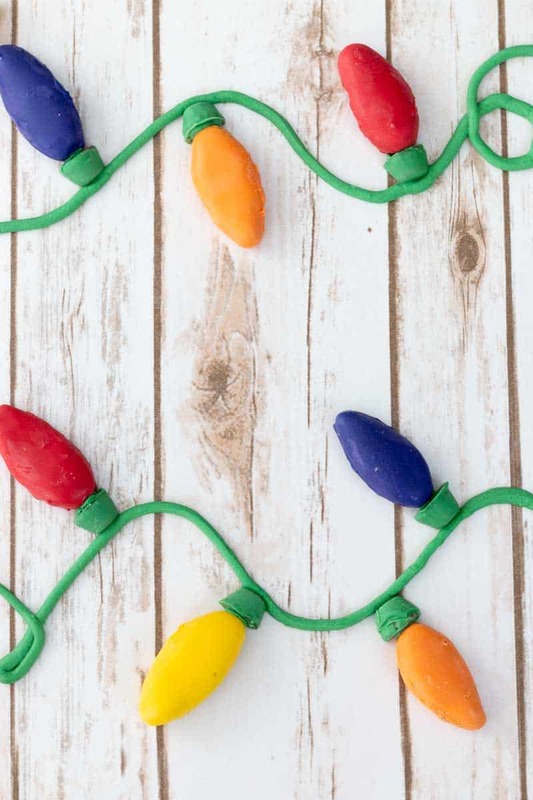 Keep adding more Christmas lights until you get the look you want. Make sure to add the lights facing up and facing down. Now add a second row to your board. 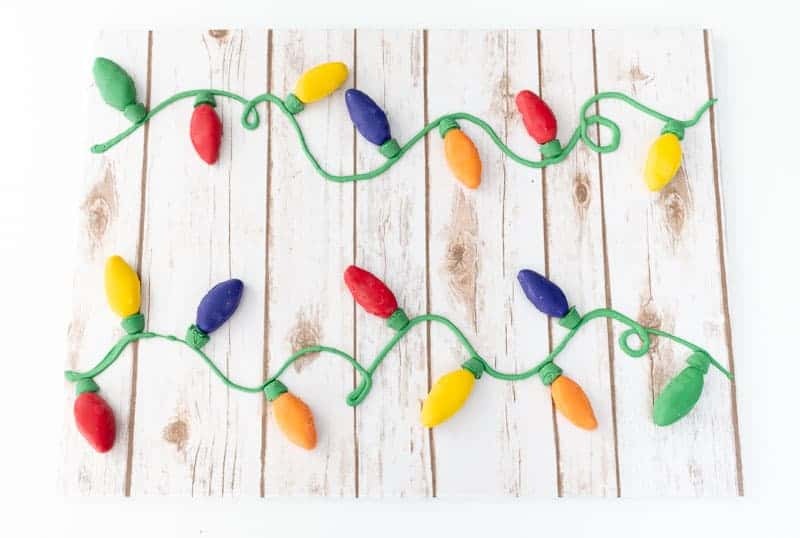 Add a bit of melted candy melts to the back of the lights like you did before and add them to your board until you get the look you want. If you can, keep these in the fridge. If it’s too big to fit in your fridge, they’re really okay to sit out for awhile. I had mine out for a couple of hours. 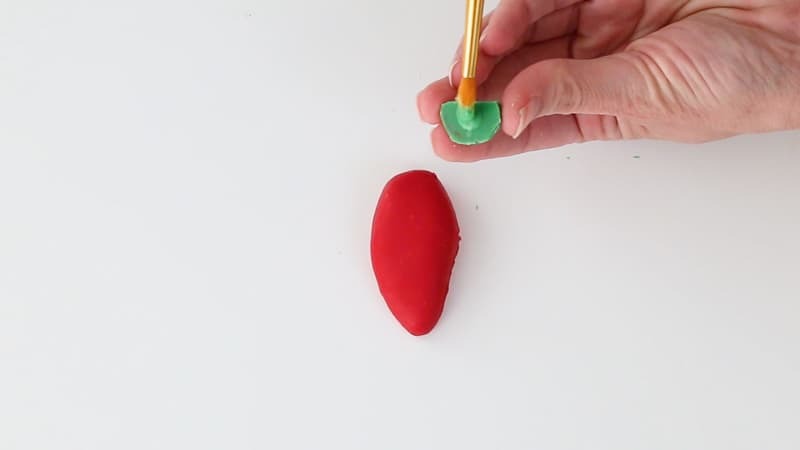 The candy melts form a hard shell around the peanut butter mixture, which holds it in place. Christmas Light Peanut Butter Balls are the perfect holiday treat. 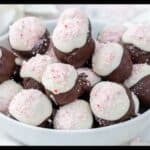 Roll the peanut butter ball mixture into the shape of Christmas lights and dunk into colorful melted candy melts to get a cute Christmas treat, or just make regular peanut butter balls and dunk in melted semi-sweet or white chocolate. 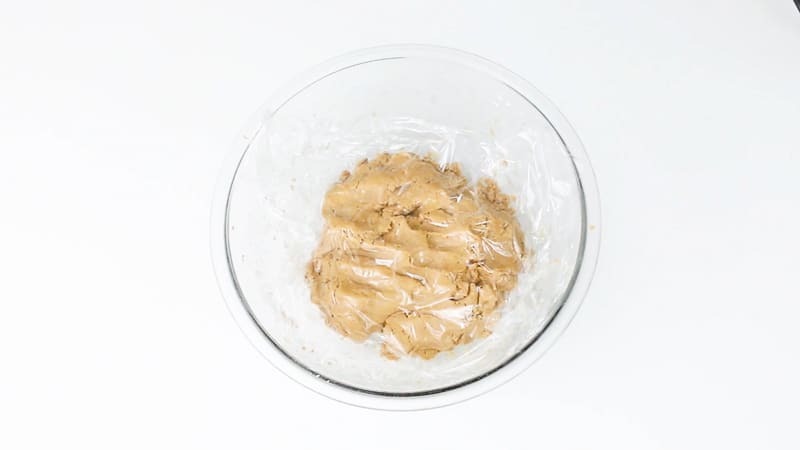 Mix the peanut butter, confectioners sugar, butter and vanilla extract until well combined. 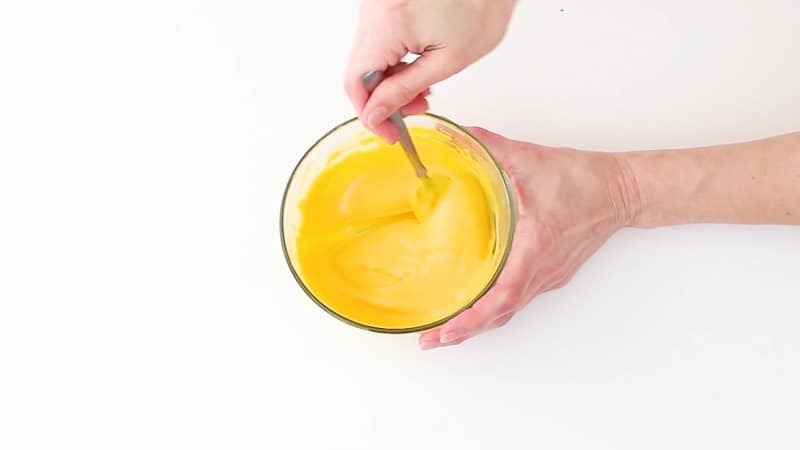 Use about a tablespoon of the mixture and roll into ball. 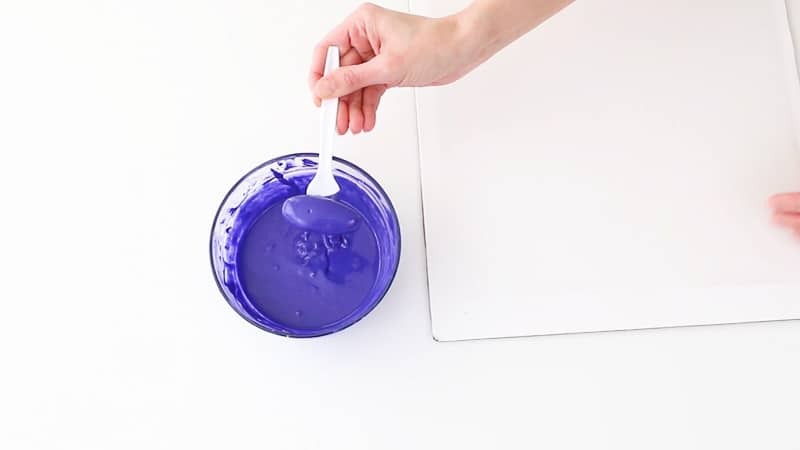 Continue until all the mixture is used. Chill in the freezer, then dunk into melted semi-sweet or white chocolate. Chill in the fridge until firm. 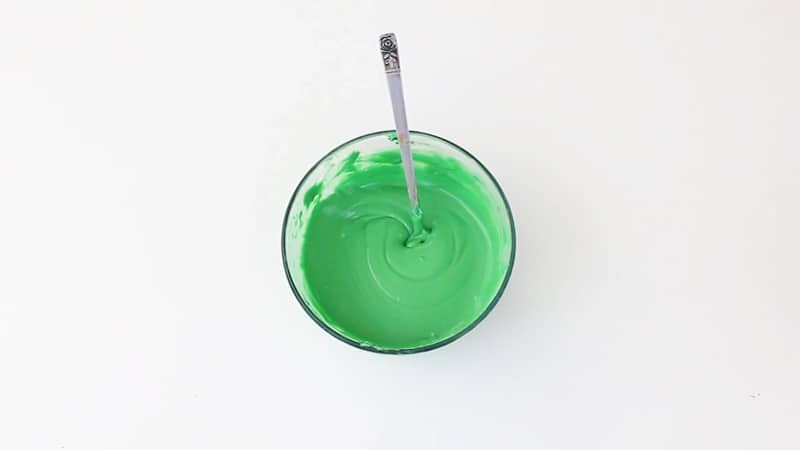 Use about a tablespoon of the mixture and roll into a Christmas light shape. Chill in the freezer until firm. 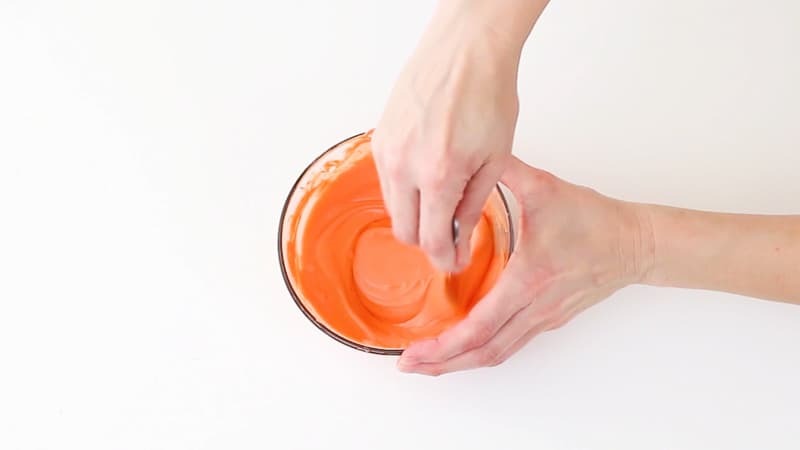 Dunk into different colored melted candy melts and let firm up. Dunk a mini Reese's cup into melted green candy melts and chill to let it firm up. Cut in half. Attach half a mini Reese's cup to the bottom of the Christmas light. 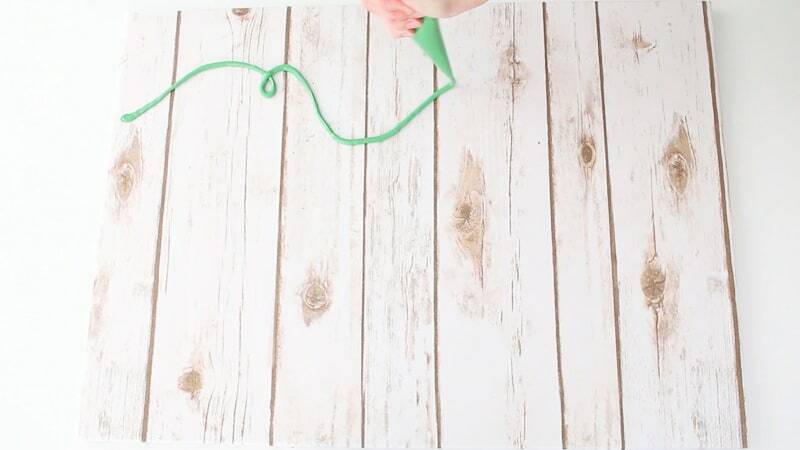 Add the lights to a pretty board with piped lines to replicate the 'wires'. Notes: This recipe makes A LOT! It makes about 52 peanut butter ball Christmas lights, so if you make them into just peanut butter balls, it'll make even more. FEEL FREE TO MAKE HALF THIS RECIPE IF YOU DON'T NEED THAT MANY. Phew! These are a lot of work, but I think they turned out really cute. Just know going in that it’s gonna take you some time, but man these things are delicious!